Doing Good Together™ sjfsfjaslf sdfasfin dfsf asdfsf asdfsdf afsdfs. 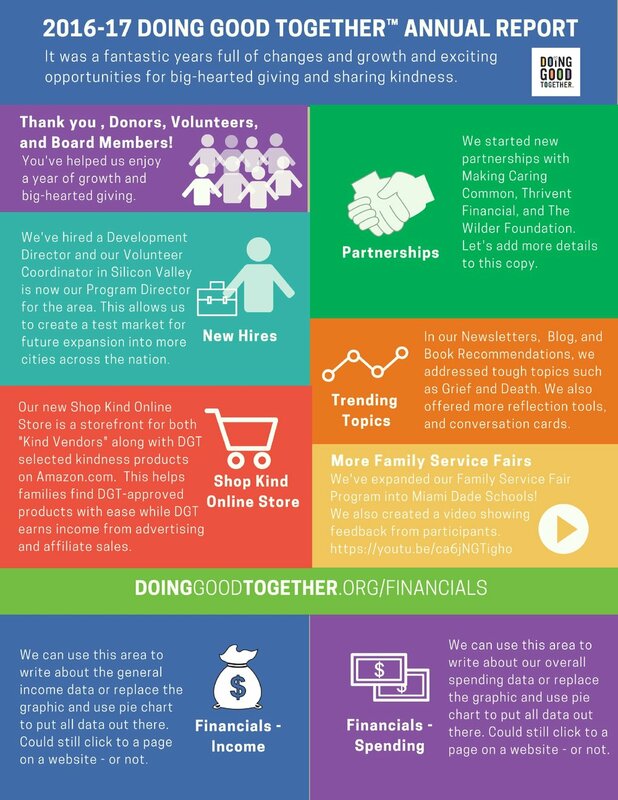 Thank you for helping Doing Good Together™ succeed in its mission to empower families to raise children who care and contribute. If there's something more to add, we can add it here, but perhaps this text is redundant to what's already included above. Thoughts, Jenny? Nullam sit amet nisi condimentum erat iaculis auctor. Nulla lectus ante, consequat et ex eget, feugiat tincidunt metus. Integer tempus, elit in laoreet posuere, lectus neque blandit dui, et placerat urna diam mattis orci. Donec eu est non lacus lacinia semper. Donec eget risus diam.